Here are some snazzy birthday facts about 4th of April 1972 that no one tells you about. Don’t wait a minute longer and jump in using the content links below. Average read time of 10 minutes. Enjoy! What day was my birthday Apr 4, 1972? April 4, 1972 was a Tuesday and it was the 95th day of the year 1972. It was the 14th Tuesday of that year. The next time you can reuse your old 1972 calendar will be in 2028. Both calendars will be exactly the same! This is assuming you are not interested in the dates for Easter and other irregular holidays that are based on a lunisolar calendar. What day was April 4 this year? There are 350 days left before your next birthday. You will be 48 years old when that day comes. There have been 17,182 days from the day you were born up to today. If you’ve been sleeping 8 hours daily since birth, then you have slept a total of 5,727 days or 15.68 years. You spent 33% of your life sleeping. Since night and day always follow each other, there were precisely 582 full moons after you were born up to this day. How many of them did you see? The next full moon that you can see will be on May 18 at 21:13:00 GMT – Saturday. Fun stat: Your first one billion seconds (1,000,000,000) happened sometime on December 12, 2003. If a dog named Basel - a American English Coonhound breed, was born on the same date as you then it will be 231 dog years old today. A dog’s first human year is equal to 15 dog years. Dogs age differently depending on breed and size. When you reach the age of 6 Basel will be 42 dog years old. From that point forward a medium-sized dog like Basel will age 4.5 dog years for every human year. View the complete list of April 4 celebrity birthdays. Who are the famous April 4 birthdays? Here’s a short list of famous people in history who were born on Apr 4. View the complete list of April 4 famous birthdays. What happened on my birthday – Apr 4th? Francis Drake is knighted for completing a circumnavigation of the world. Declaration of Breda by King Charles II of England. United States President James Madison enacts a ninety-day embargo on trade with the United Kingdom. Napoleon abdicates for the first time and names his son Napoleon II as Emperor of the French. American Civil War: A day after Union forces capture Richmond, Virginia, U.S. President Abraham Lincoln visits the Confederate capital. World War II: Soviet troops liberate Hungary from German occupation and occupy the country itself. France agrees to grant independence to the Mali Federation, a union of Senegal and French Sudan. Apollo program: NASA launches Apollo 6. A Lockheed C-141 Starlifter, dubbed the Hanoi Taxi, makes the last flight of Operation Homecoming. Prince Norodom Sihanouk resigns as leader of Cambodia and is placed under house arrest. 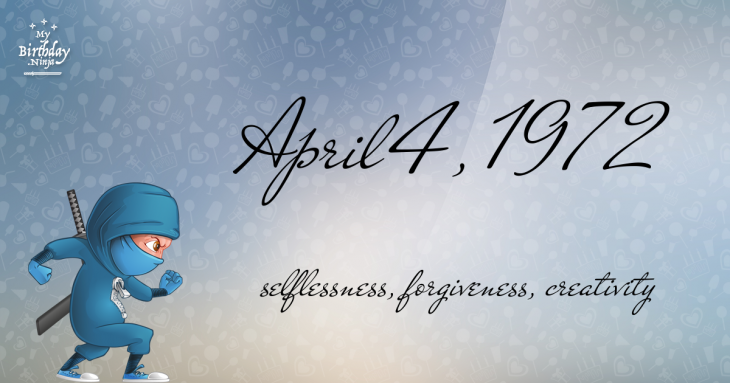 View the complete list of April 4 historical events. Curious about this Kiwi Fruit Swirl? This is a party item you can activate and send to your friends when you play the free game Jump Birthday Party. It’s a fun and easy-to-play mobile game for all ages. Get free 1,000 gold coins when you download today! What does my birthday April 4, 1972 mean? 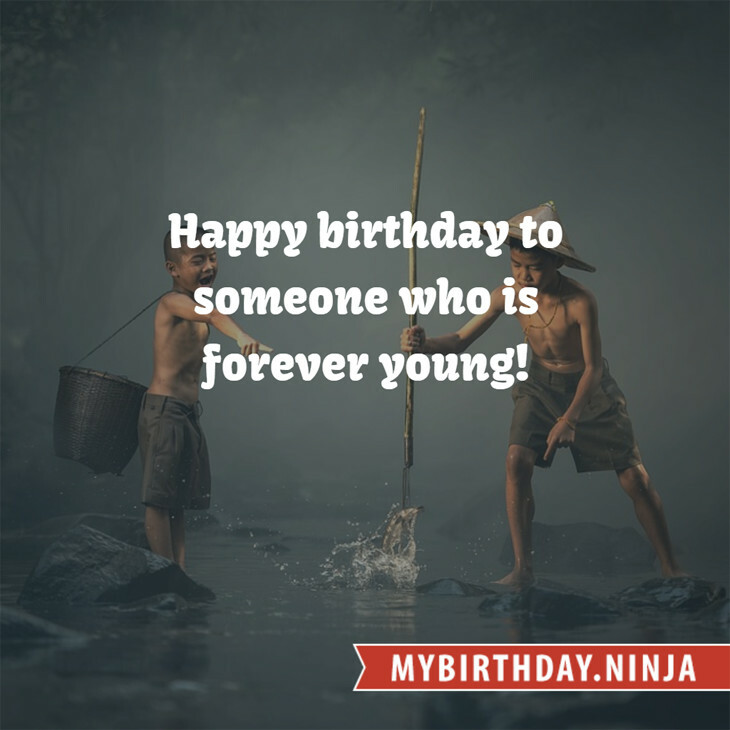 Your birthday numbers 4, 4, and 1972 reveal that your Life Path number is 9. It represents selflessness, forgiveness and creativity. You are the philanthropist, humanitarian, socially conscious, and are deeply concerned about the state of the world. The following celebrities also have the same life path number: Kelly Price, Zafer Ergin, KJ-52, Girish Karnad, Andy Irvine, Shirley MacLaine, Luca Ronconi, Simón Díaz, Caterina Scorsone, Moka Only. What is the birthday horoscope for Apr 4, 1972? The Western zodiac or sun sign of a person born on April 4 is Aries ♈ (The Ram) – a cardinal sign with Fire as Western element. The ruling planet is Mars – the planet of war and ambition. According to the ancient art of Chinese astrology (or Eastern zodiac), Rat is the mythical animal and Water is the Eastern element of a person born on April 4, 1972. What is the birthstone for April 4? Fun fact: The birth flower for 4th April 1972 is Sweet Pea for love. What is the Love Match for Apr 4, 1972? When it comes to love and relationship, you are most compatible with a person born on January 22, 2002. You have a Love Match compatibility score of +194. Imagine being in love with your soul mate. On the negative side, you are most incompatible with a person born on July 10, 1983. Your incompatibility score is -178. You’ll be like a cat and a dog on a love-hate relationship. Arf-arf, I want to bite you. Meow-meow, stay away from me! What is a good birthday trivia for April 4? The number-one hit song in the U.S. at the day of your birth was A Horse with No Name by America as compiled by Billboard Hot 100 (April 8, 1972). Ask your parents if they know this popular song. I do not know how you feel about this, but you were a male ♂ in your last earthly incarnation. You were born somewhere around the territory of Northern India approximately on 1850. Your profession was medicine man, surgeon, herbalist. How many babies were born on April 4, 1972? Base on the data published by the United Nations Population Division, an estimated 121,907,602 babies were born throughout the world in the year 1972. The estimated number of babies born on 4th April 1972 is 333,081. That’s equivalent to 231 babies every minute. Try to imagine if all of them are crying at the same time. What is the popular baby name on 4 Apr 1972? What’s your bizarre Florida Man story? The #FloridaManChallenge is breaking the Internet and social media. Some crazy men, women, or creatures from the Sunshine State are making headlines every day of the year including your birthday. Try this fun exercise. Pick your search engine of choice and type in “florida man April 4” and see what kind of wild news headline you will get. This viral craze started in 2013 and gets resurrected now and then. The latest was from Tumblr and found its way to Twitter. As they say, the rest is history. Here’s a quick list of all the fun birthday facts about April 4, 1972. Celebrities, famous birthdays, historical events, and past life were excluded. Try another birth date of someone you know or try the birthday of these celebrities: February 13, 1966 – Jeff Waters, Canadian guitarist, songwriter, and producer (Annihilator); August 26, 1988 – Danielle Savre, American actress, singer, and dancer; January 11, 1973 – Eri Fukatsu, Japanese actress.